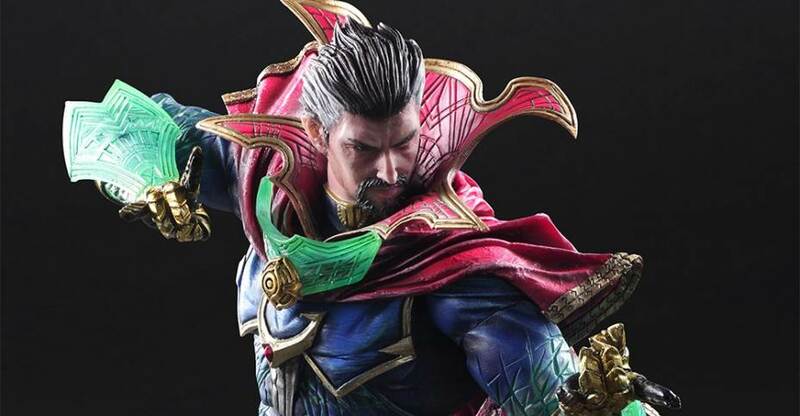 Square Enix has released photos and details for their upcoming Marvel Universe Variant Play Arts Kai Doctor Strange Figure. 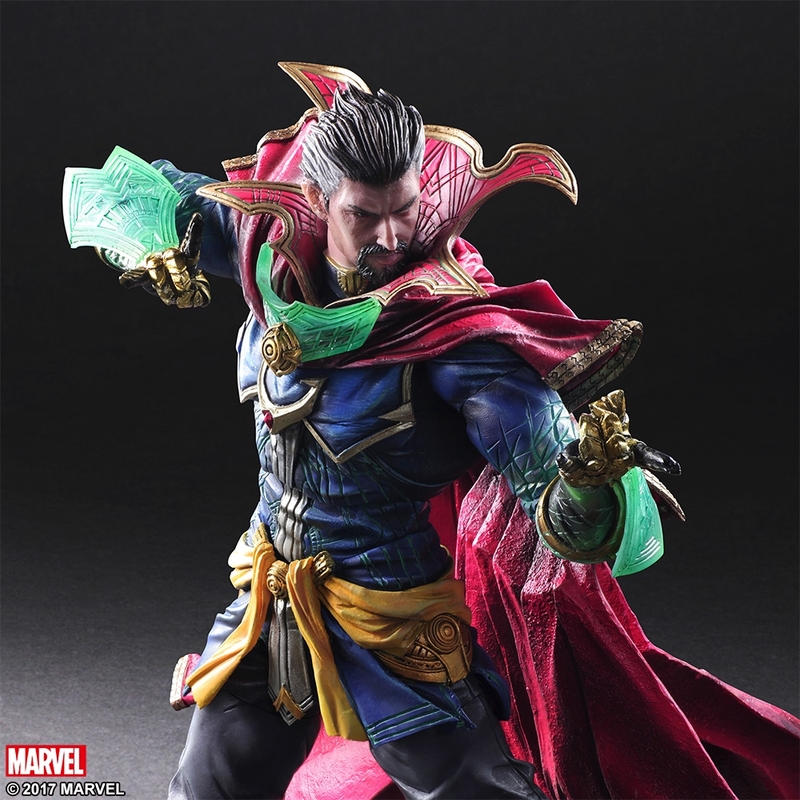 The 10″ scale figure includes an all new, comic inspired, design. 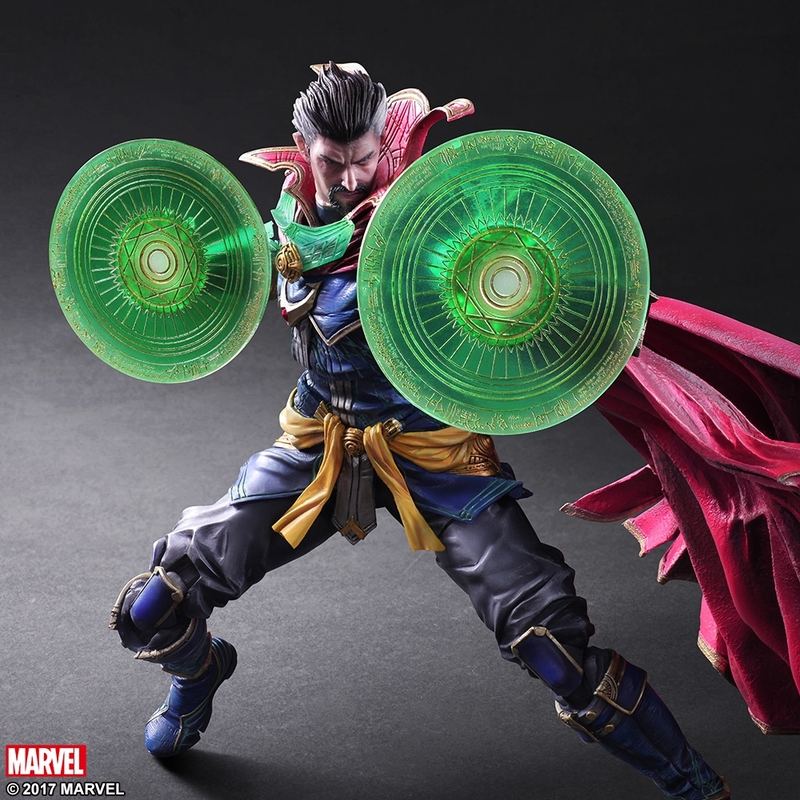 Doctor Strange will have a non-poseable plastic cape, four magic effects pieces, interchangeable gloved hands and a set of translucent green magic hands. A figure stand is also included. 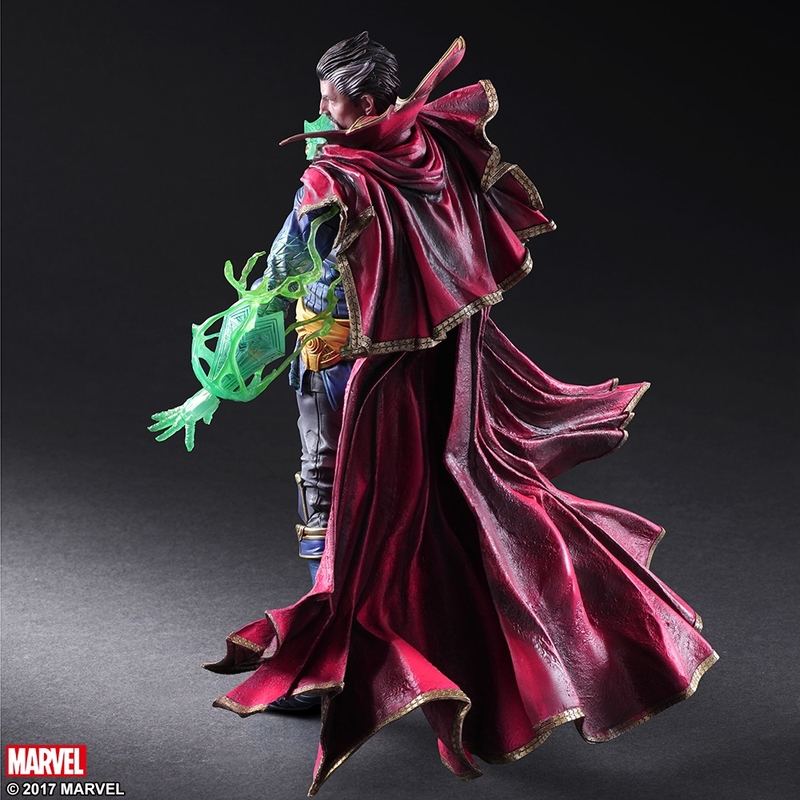 His signature cape can be inverted for a multitude of poses, while the exaggerated contrast unique to the paintwork of the MARVEL UNIVERSE VARIANT series brings out his profound presence. Articulated areas such as the chest, shoulders and hips incorporate flexible materials to allow for a wide range of motion. 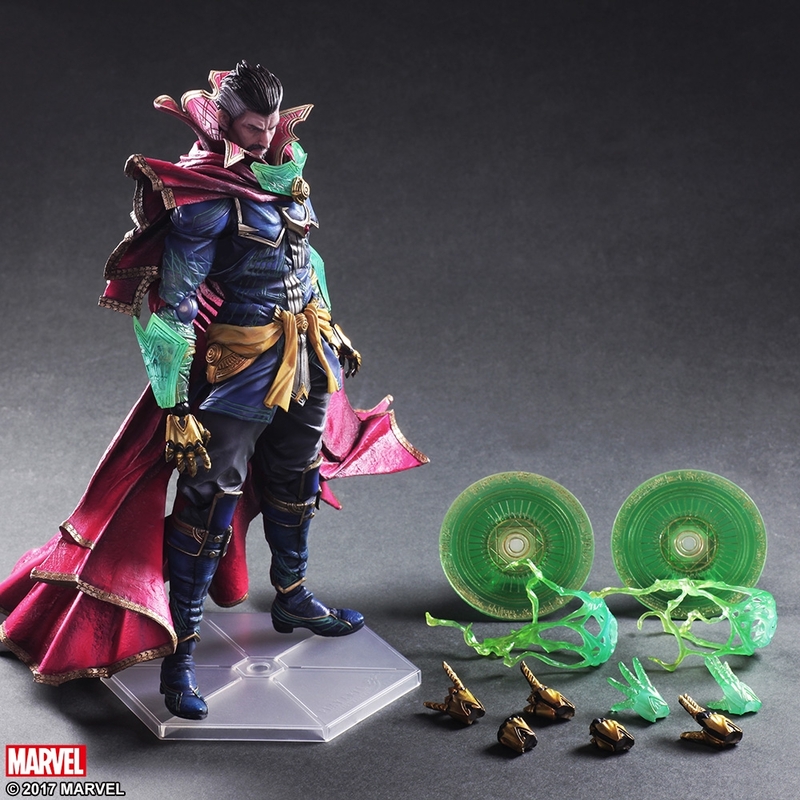 With magic glyphs and effect parts constructed with translucent materials, as well as interchangeable hand parts, our Doctor Strange figure can be posed in various dynamic ways. 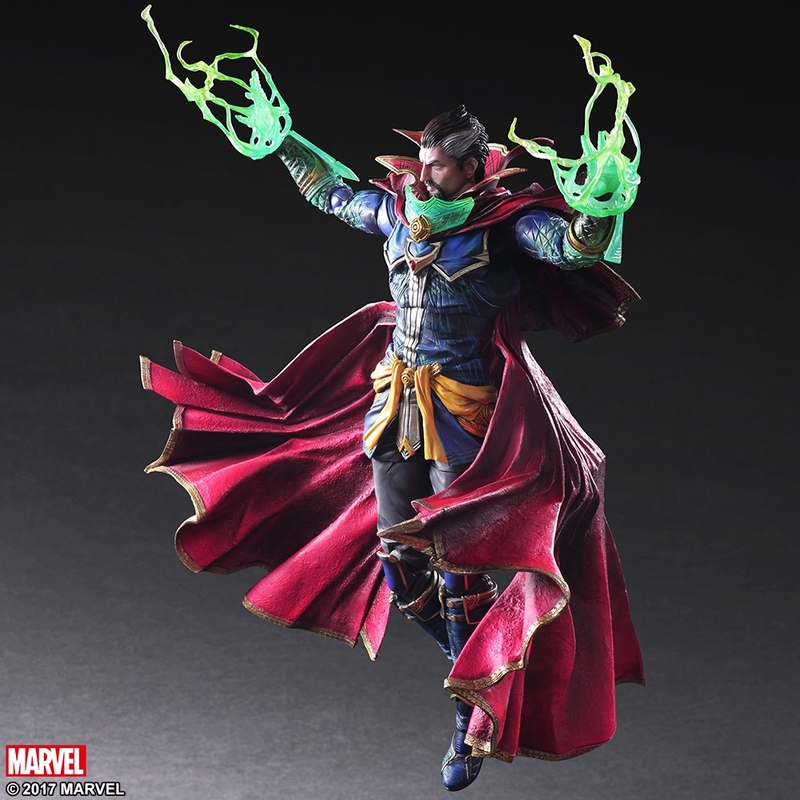 The Play Arts Kai Doctor Strange Figure is set for a North American release in November. 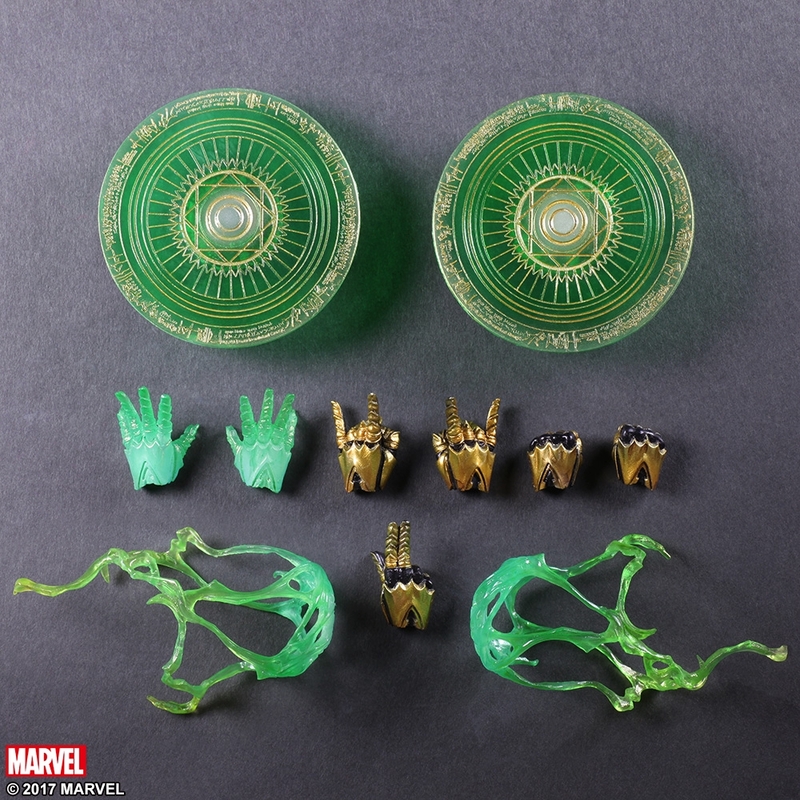 The figure will be set at $150. 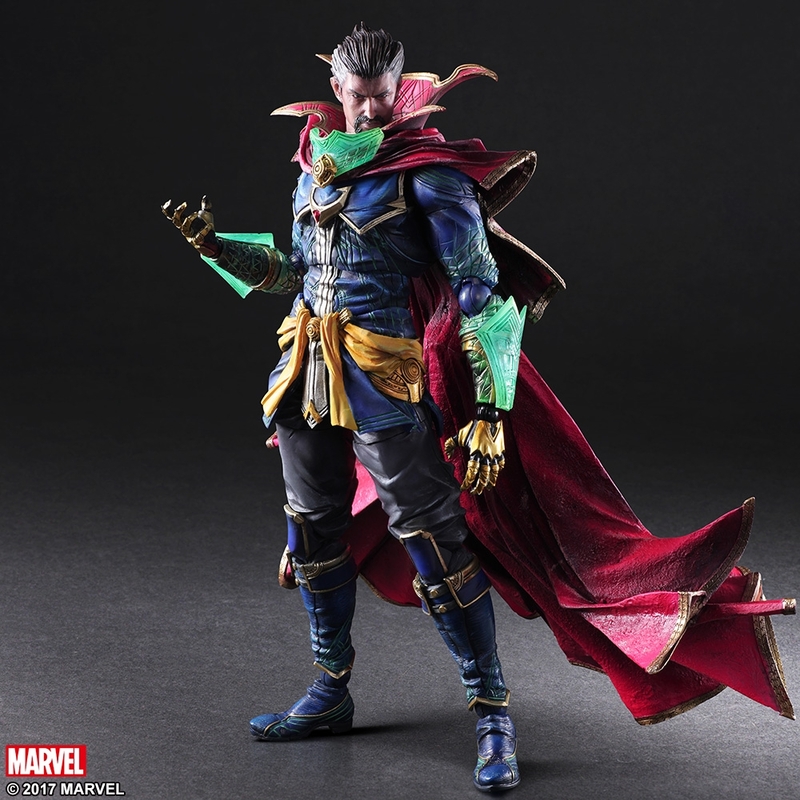 I've been priced-out of Play Arts Kai for a while now, but I do like this Dr. Strange. The only thing I don't like is that green bib, I do hope that's removable for those of you that can afford him. 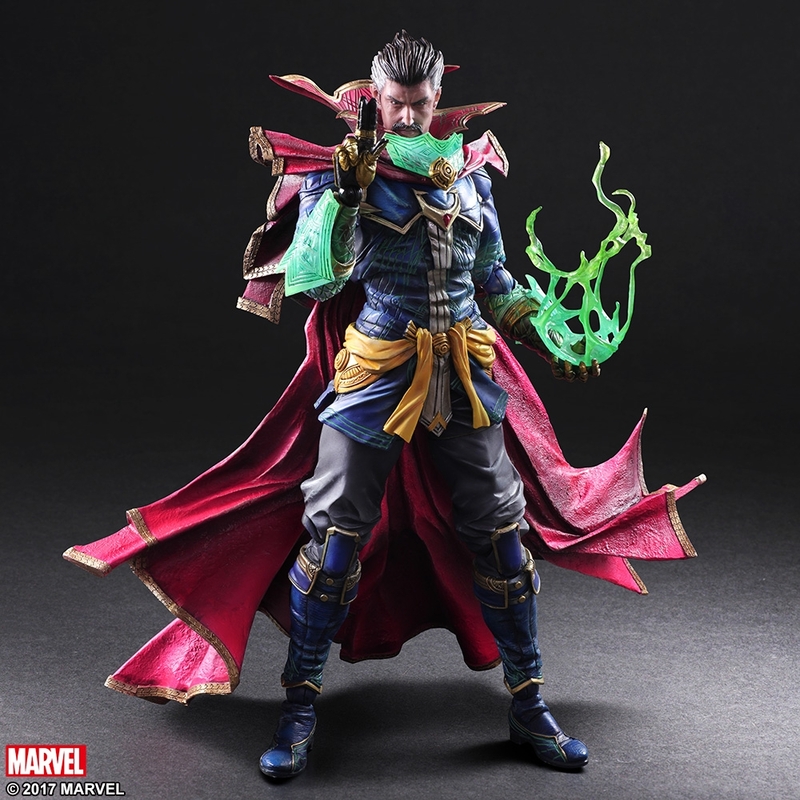 Between this and the Magneto, its really disheartening the price and quality don't match the level of sculpt. They're out of scale with anything I have, but they look really awesome. I love the design but I'd have to wait until its reviewed well and discounted before I even humor the idea of buying it. Shame because visually, there's nothing about this I don't love. 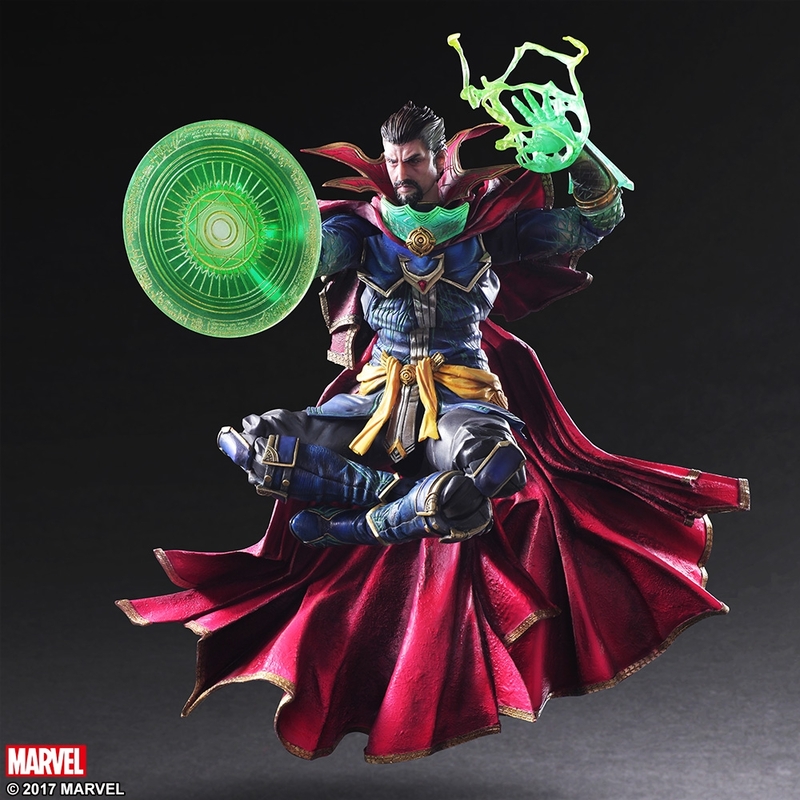 This actually makes Strange look like a badass. Taken alone, this figure is awesome. Love the look, accessories, articulation, everything. The only problem is the OUTRAGEOUS price. For 150, you can get 1/6 scale military style figures with heaps of accessories, better sculpts, cloth clothing, etc. PAK is pricing themselves out of the market for their line. I'm no fan od the current PAK pricing, but it's not a fair comparison. Those 1/6 scale military figures, that require no licensing, can have their parts reused dozens of time, cutting the cost per release significantly. Most share the exact same bodies and at least some weapons. Cool totally looks like the movie Strange. Updated with U.S. release info.